Serrão Rejuvenation Center offers effective organic and chemical peels. Dr. John Serrão, a board certified gynecologist who specializes in anti-aging medicine, and his team offer chemical peels for women in Orlando, Winter Park, and the surrounding areas of Florida. Medical grade alpha-hydroxy acid and beta-hydroxy acid peels provide for a stronger method of corrective exfoliation and are non-invasive. Peels have numerous benefits and may be used in conjunction with your aesthetic services to enhance and maintain the desired results. They effectively treat sun damage, fine lines, large pores, acne, congestion, and hyper pigmentation. The Vitamin C peel is a favorite for the mother-to-be! Our experienced medical aesthetician will evaluate your skin and discuss her findings with you. Together, you will determine which peel or series of peels would benefit your skin’s needs the most. Blend of powerful ingredients to improve tone and texture to your skin. 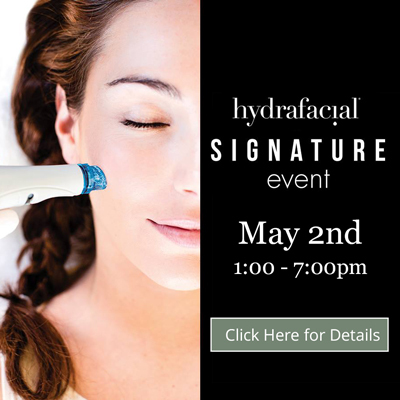 You will experience a reduction in discoloration, acne scarring, lines, and wrinkling. Stimulates the production of collagen, leaving your skin more youthful and firmer. Blend of peeling agents to reverse the effects of time, sun damage, and environmental assaults. This powerful yet non-damaging peel can take years off aging skin. Combine with Dermabrasion for a dramatic result. This peel is gentle enough to use weekly and provides exfoliation and skin renewal. It evens the skin tone, improves pigmentation, and minimizes the appearance of fine lines. This non-invasive, very superficial peel utilizes a novel approach to chemical peeling to maximize your skin’s rejuvenating effects with low irritation. 10, 20 and 30 percent strengths—Removes keratin build up, reduces appearance of scarring, hyperpigmentation and fine lines. Makes skin smoother and more radiant. Excellent for penetrating pores for congested and blemish-prone skin. Refines skin texture and restores brightness to the skin. The vitamin C peel is a blend of L-Ascorbic Acid (Vitamin C) and active fruit enzyme powders to create a stimulating, antioxidant mask. Stimulates collagen and strengthens elasticity. This aromatic treatment will give your skin a radiant, healthy glow. Speed up the skin’s natural exfoliation process with our organic line of peels to reveal younger-looking skin. Our unique peel system alternates different therapies to target the skin’s receptors that are responsible for activating cell turnover. Results—INSTANT! Combine the purity and potency of vitamins with all-natural enzymes from cranberries, blueberries, cherries, pumpkin, chocolate, and red wine to effectively stimulate and redefine your skin. It is a nutrient-rich cocktail of natural ingredients which will replenish, repair, restore, and renew your skin! The most gentle of all the acids, no downtime, safe for all skin types as long as you have no milk allergies. Illuminate and smooth your eye and lip contour with this series of peels by Glytone. Recommended for mild to moderate photo-aging of the eye and lip area. Our patients love this peel because it increases the skin firmness around eyes and lips, improves the appearance of fine lines, wrinkles and crow’s feet, and also decreases the appearance of dark spots and dark circles. A series of four peels done every seven to 10 days and may be combined with other treatments for optimal results. Reveal brighter and smoother skin for younger looking hands with this series of peels by Glytone. Recommended for mild to moderate photo-aging of the hands. Our patients love this peel because it reduces the appearance of dark spots, fine lines, small scars, and wrinkles on the hands. The peels give an immediate skin brightening effect, improving skin texture and tone. A series of three peels done at three-week intervals and may be combined with other treatments for optimal results. We offer many options for exceptional skin care to people in the Orlando – Central Florida area to help them develop more youthful and healthy skin. You’ll be pleased with the results and will love the care you will receive from our exceptional skin care specialists. Enhancing your natural beauty is our goal. If you want to improve your skin with chemical peels, call us for an appointment today. Rejuvenate your skin with one of our chemical peels. At Serrão Rejuvenation Center, Dr. John Serrão, a board certified gynecologist who specializes in anti-aging medicine, and his team offer chemical peels for women in Orlando, Winter Park, and the surrounding areas of Florida. Contact us to schedule a consultation and begin your rejuvenation today. Serrão Rejuvenation Center offers effective organic and chemical peels. Dr. John Serrão, a board certified gynecologist who specializes in anti-aging medicine, and his team offer chemical peels for men and women in Orlando, Winter Park, and the surrounding areas of Florida. Rejuvenate your skin with one of our chemical peels. 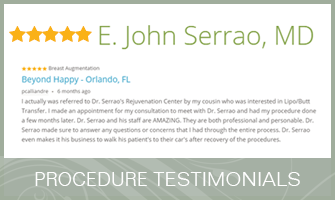 At Serrão Rejuvenation Center, John Serrão, a board certified gynecologist who specializes in anti-aging medicine, and his team offer chemical peels for men and women in Orlando, Winter Park, and the surrounding areas of Florida. Contact us to schedule a consultation and begin your rejuvenation today. Chemical peels are a category of advanced clinical skin rejuvenation treatments that aid in reversing damaged skin due to factors such as aging, sun exposure, and acne. Clients who have facial blemishes, wrinkles, large pores, congestion, dull tone, acne, and uneven skin pigmentation are candidates. From start to finish, the procedure should take approximately 30 minutes to one hour. There is little or no downtime and you may have some mild flaking or peeling for a few days. When Can I Schedule My Next Chemical Peel? Chemical peels can be done every two to four weeks depending on the type of peel. We recommend a series of three to six for maximum benefits depending on the skin condition being treated. What Should I Do After My Chemical Peel? You may be more sensitive to the sun, so limit sun exposure during treatment and for at least one week afterward. Use a sunscreen of at least SPF 30 and follow the recommended home care regimen. Avoid strenuous exercise for at least two to three days, as the perspiration may irritate the skin. When washing your face, do not scrub and use a sensitive cleanser. Do not “help” the skin peel to avoid scarring or rashes. Do not pull on or peel shedding skin. You can control the flaking with a light moisturizer. Do not have any facial treatments for at least one week after your chemical peel. You may resume regular use of Retin-A, alpha-hydroxy acid (AHA) products, or bleaching creams only after the peeling process is complete.